The Mantis Mover makes moving large and over-sized loads easy. 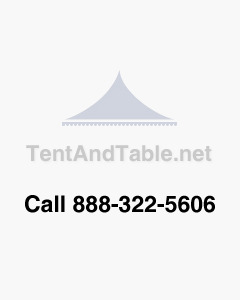 This is a must have accessory for any party rental business or organization that handles large shipments. It has 34” long forks that makes moving inflatables, folding chairs and other bulky items a snap. The dolly's center forks are 7/8” diameter, 14 3/4” apart, and are made for heavy duty hauling. The 10" solid foam wheels provide you with a piece of mind that you never need to worry about rough or uneven terrain. This dolly's aluminum fenders and an expanded metal back guard protect the load from rubbing on the tires. The Mantis Mover has a strong, rugged design with closed cell foam tires, ball bearing hubs and a powder coated steel frame. Dimensions: 27" x 39" x 74"